I first rode a snowmobile in about 1985. Growing up, we always had a few 1970s ski doos and rode them around the fields by our house. As a teenager, I went to the mountains a few times a year with my dad and that's when I really got hooked on snowmobiling. The adventure, freedom, challenge, beauty, and so many other things really made it clear to me that snowmobiling was something I wanted to be very involved with. We will have an awesome variety of Polaris Snowmobiles next season including a 174! As of now, I plan to build a couple of mod sleds with VOHK built and tuned BoonDocker turbos. One will have a 155×2.6 track and the other a 163×2.6. Both will be fully equipped with running boards, bumpers, and other goods from Skinz Protective Gear, Mountain Skillz signature wraps from Arctic FX Graphics, Sled Solutions storage bags, EXIT shocks, C&A Pro BX skis, and a few other surprises. You wouldn't guess, I enjoy watching the Golden State Warriors basketball games whenever I get a chance. The average winter day with me goes something like this……wake up, make coffee, check emails and messages, have breakfast with my daughters and help get them dressed, goodbye kisses from my wife and kids, load sleds and hit the road(usually about 10 minutes late), fuel stop, meet with Mountain Skillz clients and grab lunch, drive to the top of the pass to enjoy an awesome day at ‘work' helping snowmobilers improve through hands on instruction and constant challenges, head down the mountain, have dinner with my family, play with my daughters and put them to bed, spend time with my wife till she goes to bed, head to the shop to check sleds over and get get ready for the next day, get on the computer to catch up on all the fun stuff like bills, records, and communications, and finally head to bed for a few hours before doing it all over! I'm fortunate to be joined by James Finsterwald a good portion of the winter and appreciate all of his help through this craziness! I am extremely thankful to be a professional snowmobiler! 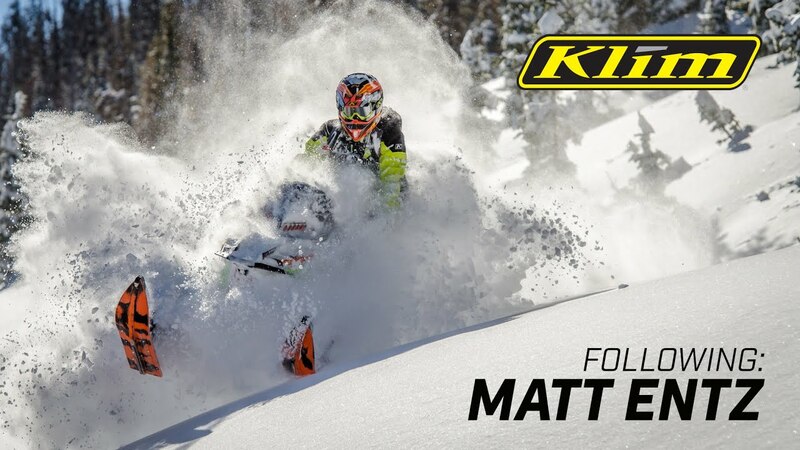 I own and operate Mountain Skillz with Matt Entz, an instructional snowmobiling business focused on personalized technical mountain riding instruction and avalanche safety. Snowmobiling is my primary job. Aside from our riding workshops, I spend time throughout the winter working for and representing my incredible sponsors! I have always wanted to be a teacher and help people. It just took a while to realize I could help people get the most out of the most awesome activity on the planet! In the off season, I help my father-in-law with a fun variety of jobs in the dirt and operating equipment. In 2007 I had the opportunity through our local dealership in South Fork to show the BOONDOCKERS around for a weekend. That was a great opportunity to meet a few of the guys and the following winter I made a trip to Utah with Dave Napier to ride with them again. From there, I was able to meet up with them a few times a season and became really good friends with this awesome group of people. There are many great stories and memories with them since then and hopefully many more to come! Choosing a favorite riding area is impossible! I honestly love to ride anywhere with fun terrain and decent snow. The variety and differences from one area to the next always make for a great experience. I'm very fortunate to have traveled to many incredible destinations to ride. I'm always happy to return to my home area in southern Colorado though! I've got a 1997 single cab Ford F-250 4wd with a 460. It's my old sled hauler and will always be kept around for it's sentimental value. To pull my Mirage Trailers gooseneck snowmobile trailer, I have a 2006 4 door long bed Dodge 2500 with a 5.9 Cummins. Four wheel drive of course and to make it an awesome sled hauler, we've added a Jacobs engine brake, airbags, B&W gooseneck hitch, and a trailer brake controller. It's only allowed to have the mirrors flipped out when the trailer is hooked up! I have to say that my most memorable and worst experience were the same day. It was actually an awesome day of riding with many fellow BOONDOCKERS in Utah, in 2012. Long story short, I was involved in an avalanche and buried. I'm very thankful that I was with this group of guys. Smasher and Phatty dug me out quickly. It was definitely an eye-opening experience and one of the key factors that led to my wife and I starting Mountain Skillz and becoming much more involved in avalanche safety and education. I love to ride with whoever is up for a challenge, an adventure, and not stuck all day! My incredible family and all that we do together is my biggest accomplishment. Nothing compares to the life that we make and live together. Next season I want to help as many people as possible realize their true potential and enjoy this incredible sport to the fullest! I have had a few sleds that I put over 2000 miles on in a season. This past winter was, collectively, my most miles for a season. It was multiple sleds, but I put on 4000 miles. I think I put about 4000 miles on one of the first sleds that I owned, over 2 seasons. Polaris Snowmobiles, Klim, VOHK, Skinz Protective Gear, Arctic FX Graphics, Highmark by SnowPulse, Mammut, Mirage Trailers, C&A Pro Skis, Sled Solutions, ZBROZ Racing, BOONDOCKERS, TKI CNC, Marlenee Photography, BoonDocker, Caliber, Frankensled, SnowBigDeal, 2CoolAirVents, Backcountry United, Napier Motorsports, Ken's Service Center, and most of all, my amazing family!